In Pettinengo a well organized system of local wool supply had established, thus knitting took the place of cloth processing and began to take an original shape. The new family decided to focus on pasturing and wool processing, as many other locals used to do. Also in Maggia Valley there was an ancient tradition of wool processing, which is even shown in a Milan customs tariff dated back to 1317. In the first years of 1800 the old knitting and manufacturing technique was revolutionised by the first weaving looms and carding machines. It was in those years that the fortune of Maggia family grew thank to the actions of Francesco, son of Giovanbattista and Gaspare’s grandchild, who was a wool merchant and measurer (the equivalent of a modern surveyor). Francesco – born in the last quarter of the XVIII century – was both knit and cloth worker. In 1800 he already owned many knitting machines, but soon he bought a carding machine from France. Around 1830 the first knitting handlooms began to spread out in France and since they resulted to be particularly suitable for the production of Pettinengo’s sweater, Francesco Maggia decided to buy two of them. After a few years Francesco’s son, Eusebio (1819-1870) began to work with his father, founding the business name “Francesco Maggia and Son” which lasted for over a century. After the war of 1866 the Italian Army introduced knit doublets made through the brand new mechanical looms by the French company Fouquet. With the aim of keeping up with the times, the company improved its spinning technique thank to these new mechanical looms by Fouquet and the innovative spinning jenny (a multi-spindle spinning frame, 1870). After Eusebio’s death, Francesco took over the family business. Even though his young age (he was only 13 year-old at the time), he proved his great entrepreneurial spirit by solving the lack of engine power in his factory. He achieved this goal when he bought a steam engine machine from Switzerland; it seems it was the first steam engine machine set up in the district of Biella. In another valley near Biella during the same period, Francesco Vigna began to establish his family business (dated to 1780). 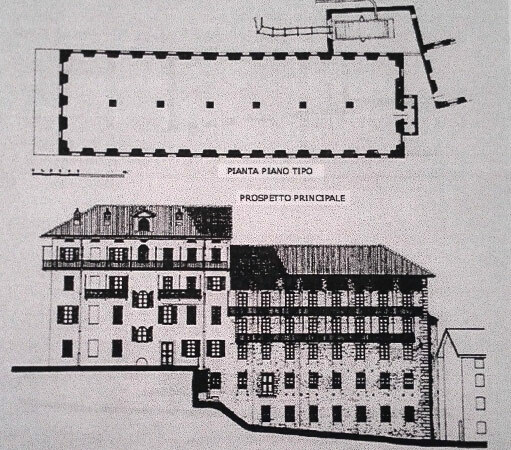 In 1916 Francesco Maggia, who had a considerable amount of assets to invest, purchased Vigna brothers’ factory in Occhieppo Superiore, and decided to keep the old plant in Pettinengo. At that time Francesco Maggia could count on his son Eusebio (1889-1941), who deserves to be remembered as one of the greatest expert in knitting of the time. He studied at the Sommelier Institute of Turin and improved his education by working abroad for different German companies. We can trace back to him some important innovations in knitting and spinning machines. Eusebio also ran for sometimes Maglificio Boglietti in Biella, but when his father died he focused completely on his company in Occhieppo Superiore, while his brothers Umberto and Achille were managing the factory in Turin. After Eusebio’s sudden death, occurred during the World War, his son Cornelio (1921-2014) took his father’s place in carrying on the ancient knitting tradition of Maggia family. After the war, under the lead of Cornelio Maggia the company went on the traditional production of underwear, especially in cotton fleece. 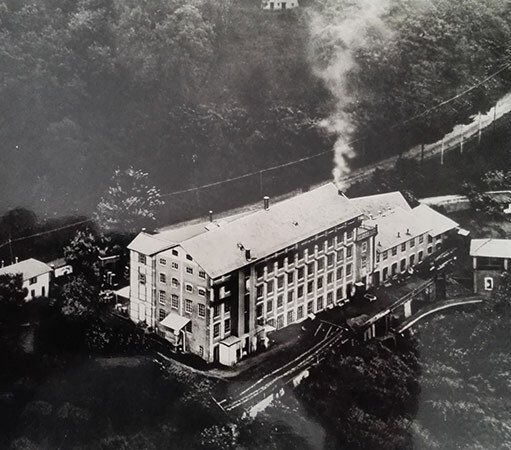 Innovation has always been playing an important role in Maglificio Maggia, in fact it was one of the first Italian companies to produce fabrics made of three different yarns: wool, Meraclon (a synthetic fibre) and viscose. The Italian Army has been one of the main customers of Maglificio Maggia for many years. In fact there was no soldier of the time who did not wear an article of clothing produced in Occhieppo. Every member of the Italian Army was charmed by the quality of Maggia’s products, from caps and t-shirts to sweater and coats. 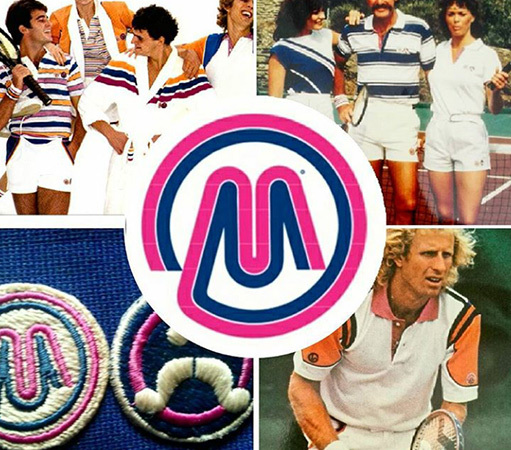 In 1976 the company began to invest in sport sponsorship choosing as symbol of its brand image a famous tennis player of the time, John Newcombe, who was soon joined by another important player, the Lithuanian/American Vitas Gerulaitis. 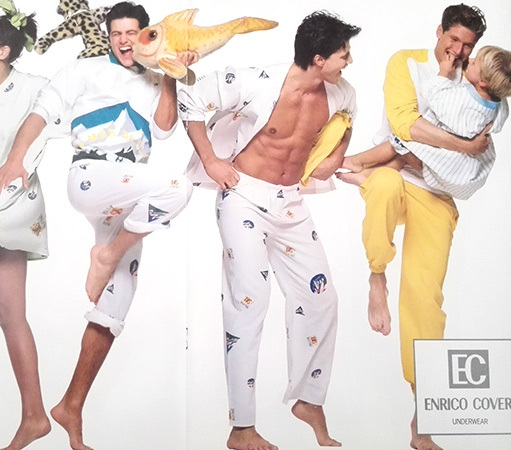 Later Maglificio Maggia directed the production towards fashion items, creating and distributing sport and underwear lines in partnership with the important brand Enrico Coveri. Nowadays Umberto, son of Cornelio, produces fabrics that are sold to the greatest world and Italian brands, thank to his production departments, which are equipped with cutting-edge technology. The continuity of the family business is guaranteed by Umberto’s son, Ludovico, who has recently joined the company; this is the 9th generation of Maggia active in textile industry in the district of Biella.